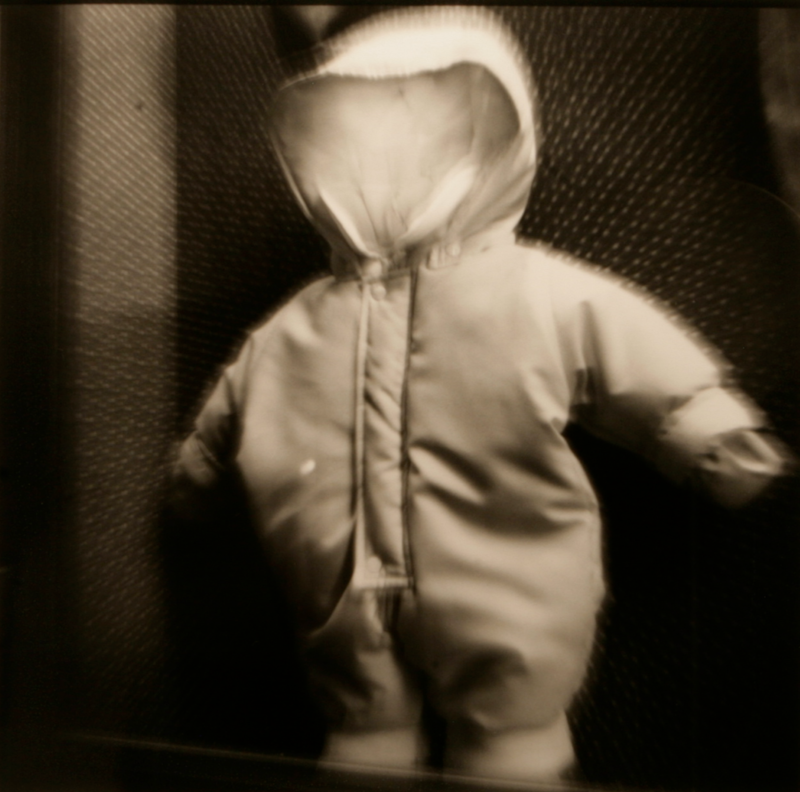 Frank attends the AIPAD photography fair and purchases Italian photographer Mimmo Jodice’s Picolo Abito. He officially catches the photography collecting bug. Frank and Ellen see Butch Cassidy and the Sundance Kid at the North Carolina Museum of Art. 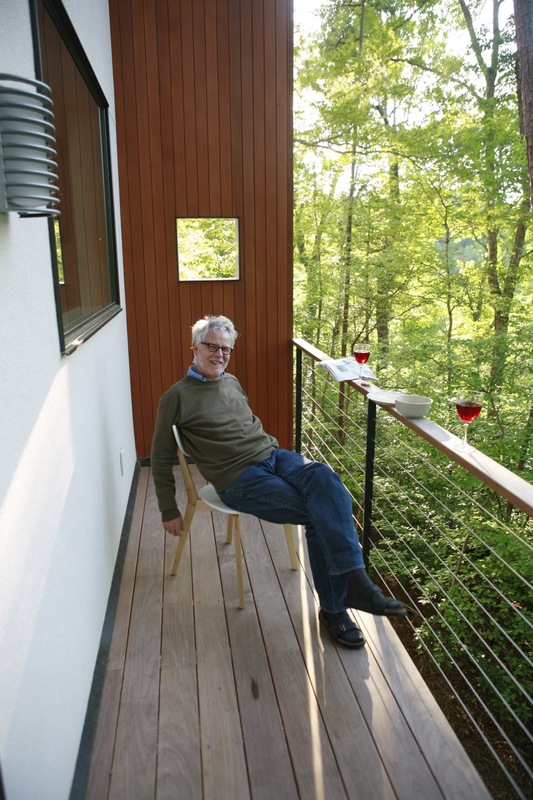 The Cassilhaus partnership – Ellen Cassilly and Frank Konhaus – is born. Frank and Ellen invite French photographer and installation artist Georges Rousse to come to Durham, NC for a public art project. 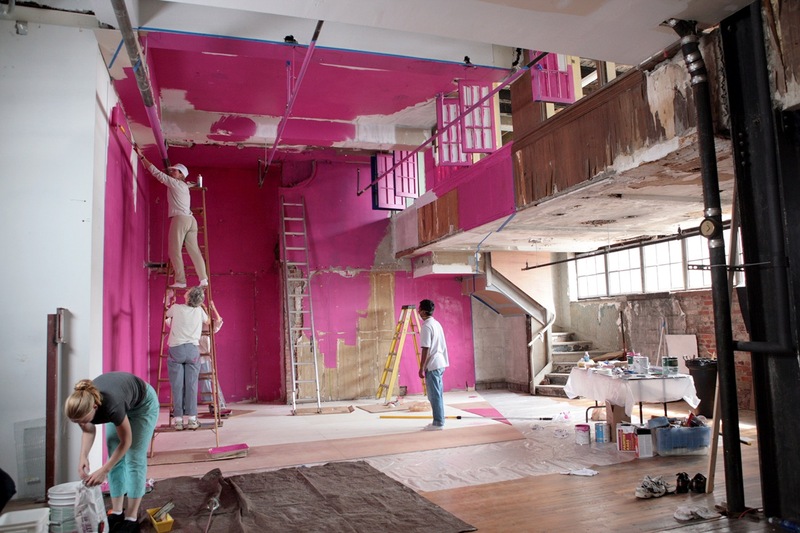 One month, 11 installations, 150 volunteers, and a documentary film later, this wildly successful community project becomes a tipping point for downtown Durham redevelopment and the inspiration for the Cassilhaus artist residency program. Starting with a Play-Doh model, architect Ellen and Frank begin to conceptualize and design Cassilhaus. 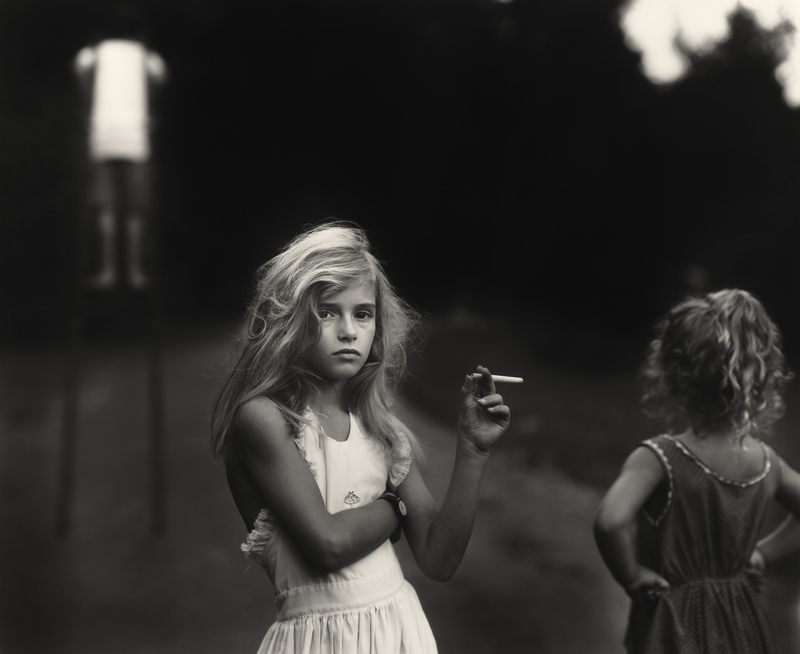 After seven years looking for a print of Sally Mann’s beloved photograph, Candy Cigarette, Frank finally lands a print and adds it to the Cassilhaus collection. Frank begins a detailed construction blog that morphs into the main Cassilhaus blog that continues to this day. 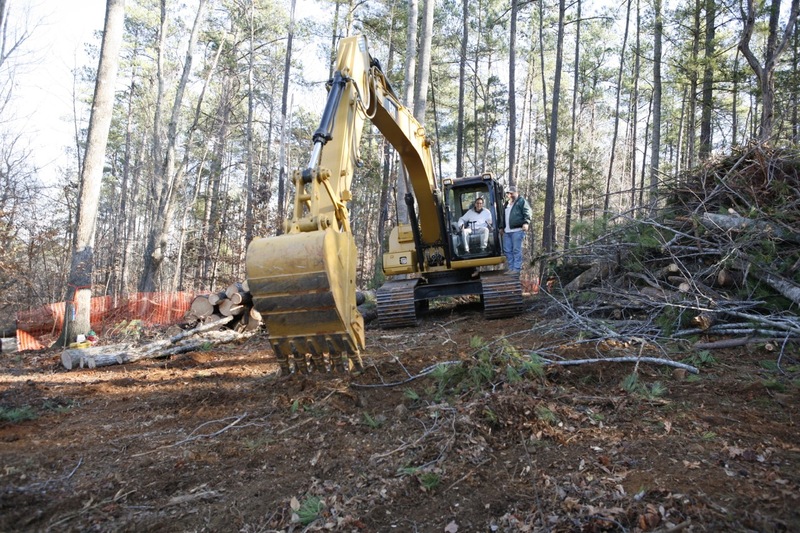 Construction begins on the house and continues for ten months. Frank and Ellen move in at the end of 2008. 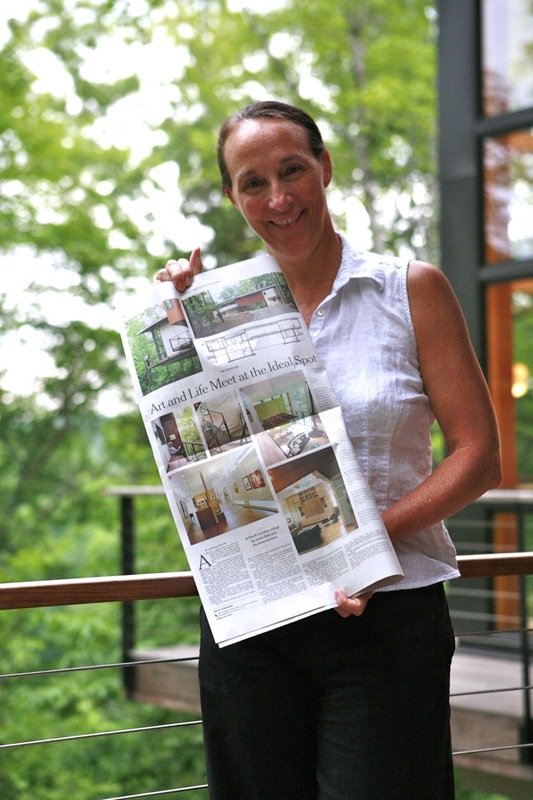 Highlighting the residency program and Ellen's architecture, the newly minted Cassilhaus is featured in a full spread in The New York Times: “Art and Life Meet at the Ideal Spot” by J. Michael Welton. 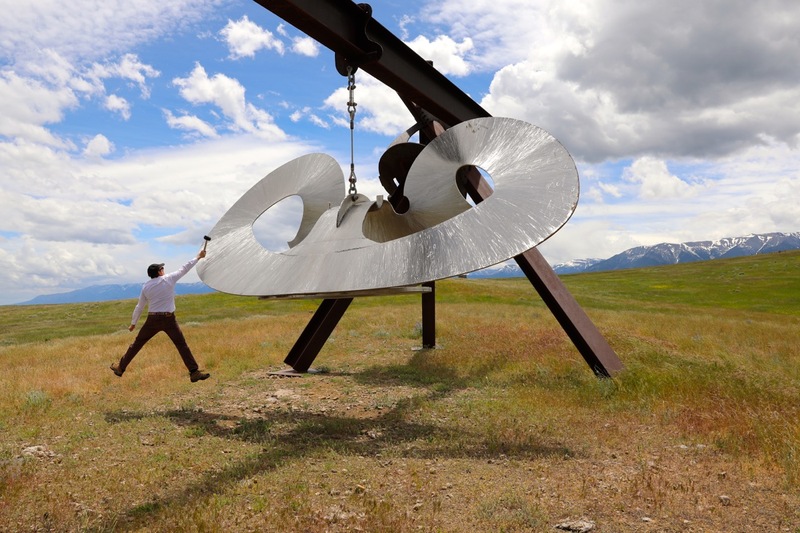 Swiss artist Walter Angehrn spends a month at Cassilhaus in the new pod and kicks the tires of the new residency idea. Longtime friend and photographer MJ Sharp shows her recent photographic work in an exhibition titled, playfully, Super Yummie. The title comes from a studio visit in which Frank was selecting images and putting them in the "yummie" and "super yummie" piles. 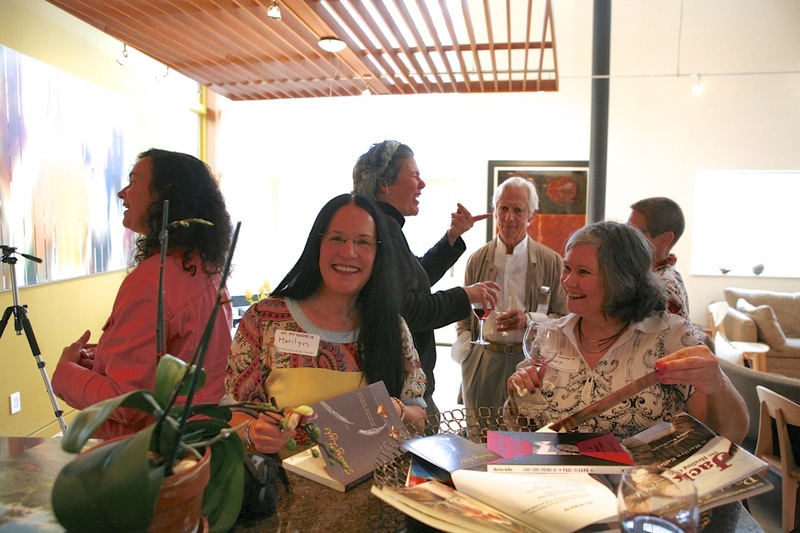 While Frank and Ellen originally envisioned the residency as being specifically for visual artists, in March of 2010 they welcome poet and writer Marilyn Kallet. This transformative experience led to entirely new constituencies of people coming to Cassilhaus and quickly led Frank and Ellen to open the doors to dancers, writers, choreographers, musicians, theatrical directors, curators, etc. Frank and Ellen commission Chapel Hill artist and well-known sculptor Patrick Dougherty to create a site-specific stick installation inside of Cassilhaus. 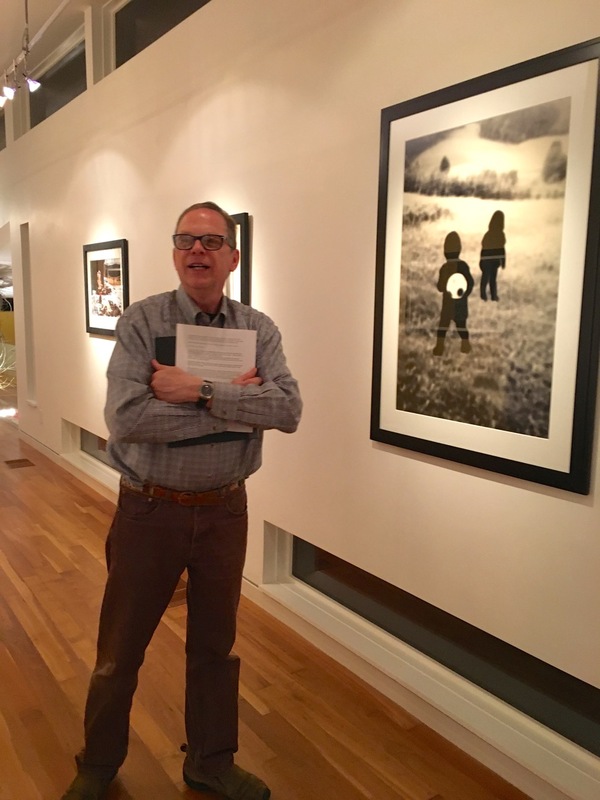 Huston Paschal, former photography curator at the North Carolina Museum of Art, co-curates with Frank an exhibit titled “Life Still.” It is the first time we invite an outside curator to work in our exhibition program. On April 9th, 2011, Seamus invited Kerri, an artist and educator, to attend a performance by the Mallarme Chamber Players at Cassilhaus. It was their first date. 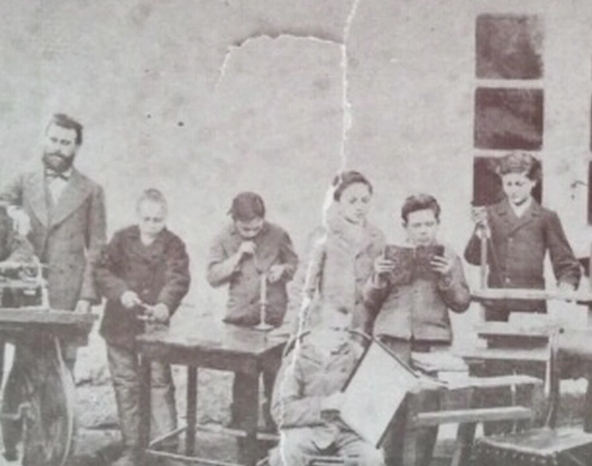 Frank happened to snap this photo of them that day – their first photograph together. Flash forward a few years and now they are married and expecting their first child! 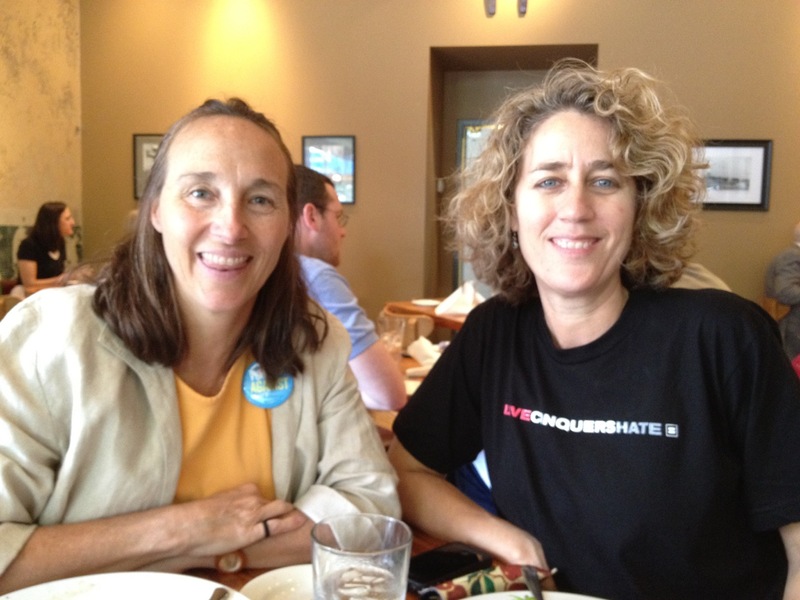 Frank and Ellen came out strongly against Amendment One – a ban on gay marriage in North Carolina – and invite the regional director from the Human Rights Campaign, Karin Quimby, to Cassilhaus to lead an effort against it. Collaborating with the Duke MFA-EDA program and UNC’s MFA in Studio Art, we began an annual full-year internship program at Cassilhaus. The inimitable Lisa McCarty becomes our first intern. With the start of the internship program, we also initiated an annual charitable framing program. Frank teaches our interns basic framing skills and the intern practices by framing simple prints which are then gifted to a different local non-profit organization of their choice each year. While we ask all of our visiting artists to engage with the larger community in some way, San Francisco based photographer Chris McCaw really took this to the next level. 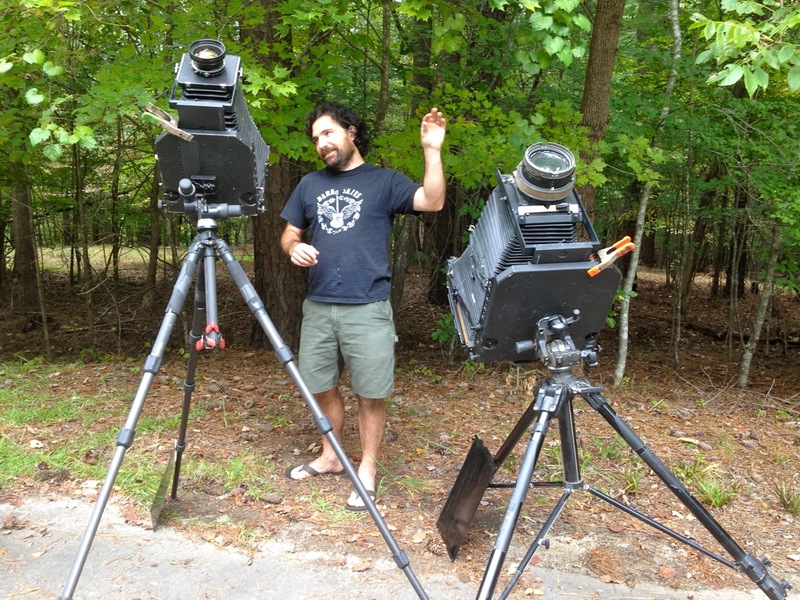 McCaw’s interest in modifying a Cirkut camera from the early 1900s leads to a collaboration with the UNC Department of Physics and Astronomy. The department creates an accredited class with graduate and undergraduate students specifically devoted to building Chris’ camera and control software! To celebrate five years of visiting artists, we throw a weekend-long party and invite back all of the former artists in residence. It is a blast! Photographer Caroline Hickman Vaughan meets her future wife, Jane Hamborsky, at an opening reception at Cassilhaus. Later as a surprise Caroline and Jane give Frank and Ellen a beautiful vintage print, Self Portrait, Father, Mother, as thanks for introducing them to one another. During curator Mark Sloan’s residency, he suggests a ‘curator camp’ as his way of engaging the community. We invite over twenty five curators from all across the southeast and host a day-long conversation about the particular challenges facing curators today. 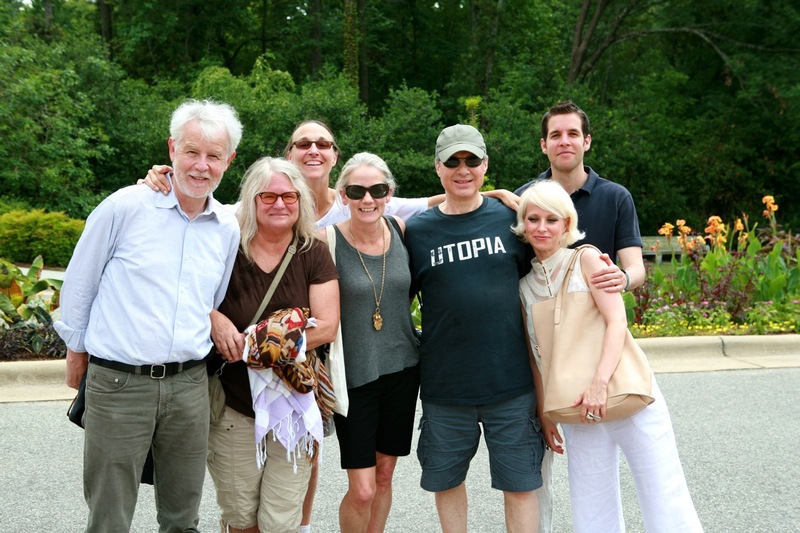 Cassilhaus Contemporary Curator Camp continues as an annual gathering. Insert archery/lanyard joke here. Tom Rankin and Rachel Boillot curate an exhibit of southern photography from the Do Good Fund collection and create the first publication for an exhibit at Cassilhaus. Thanks to our amazing curators and Alan Rothschild of the Do Good Fund for making this exhibition possible and to Mary Jane Rivers for funding the publication. With the addition of more programming, website enhancements, and behind-the-scenes maintenance at Cassilhaus, Frank and Ellen hire their first official employee, Jessina Leonard. They call her Saint Jessina. In partnership with the Duke MFA-EDA program and the Center for Documentary Studies at Duke University, we initiate the Cassilhaus Travel Fellowship, a biennial $10,000 award that supports MFA graduate students in their artistic research and studio practice beyond the classroom. 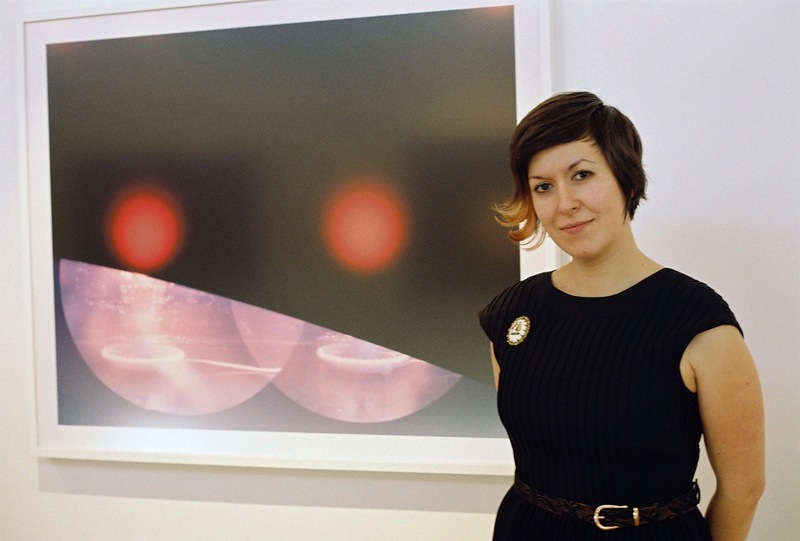 Alina Taalman is awarded the inaugural fellowship for her work in Estonia and her 16mm digital video entitled Kolmas Punkt (The Third Point). 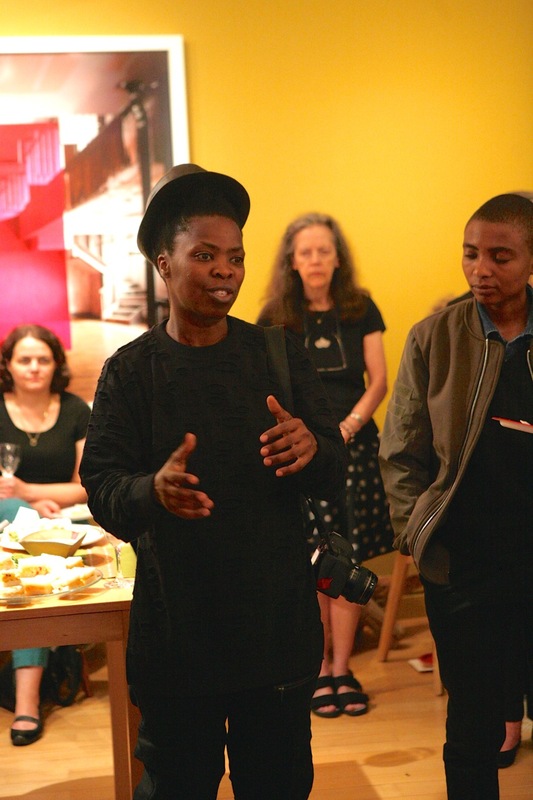 Visual activist and photographer Zanele Muholi – and her three collaborators – arrive from South Africa for a jam-packed residency at Cassilhaus. In the span of the month, Zanele creates dozens of self-portraits and we put together an exhibit of her and her collaborators’ work at the Durham Fruit. 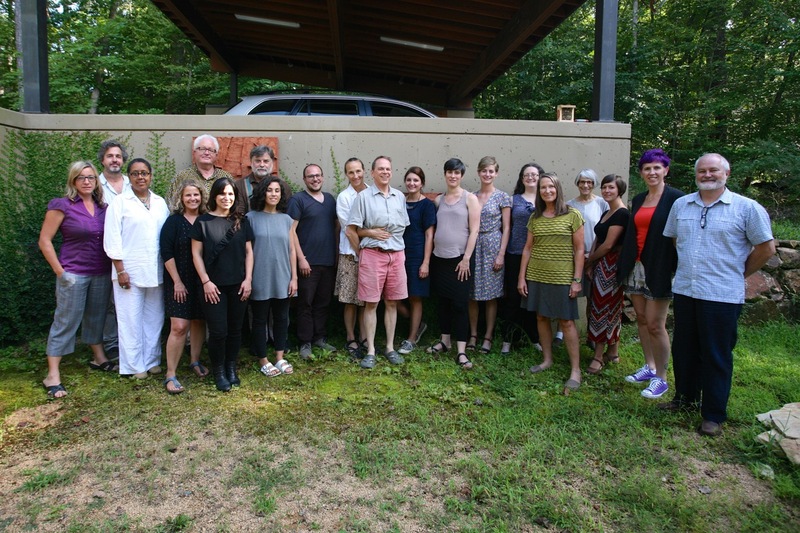 With an eye toward learning best practices and increasing our impact in the community, Frank embarks on a five-month sabbatical journey to visit community arts organizations and residency programs across the US that share similar programming and structural characteristics to our own. It is life-changing! Ellen writes an intensive career-spanning application documenting her commitment to be a community-oriented sustainable architect. After an intensive review process, she is one of just 3% of AIA members to be awarded this prestigious fellowship. 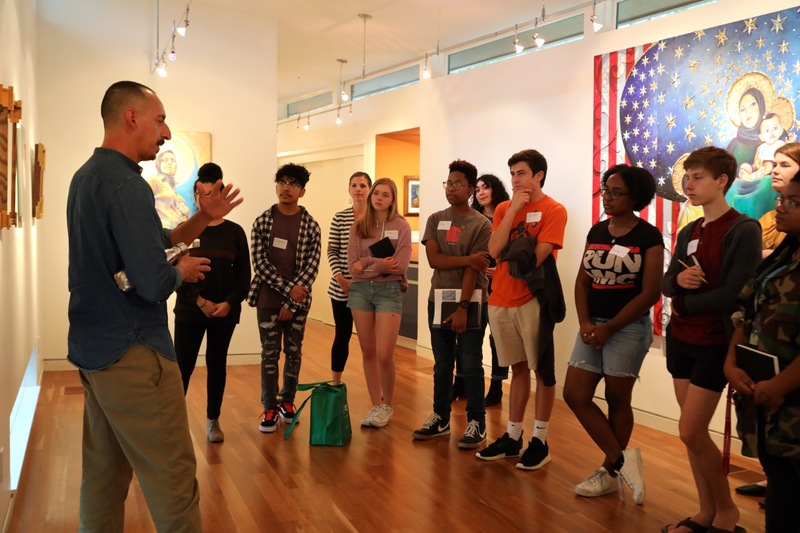 As a result of Frank's sabbatical, we launch a new initiative to collaborate with the education team at the Nasher Museum of Art. 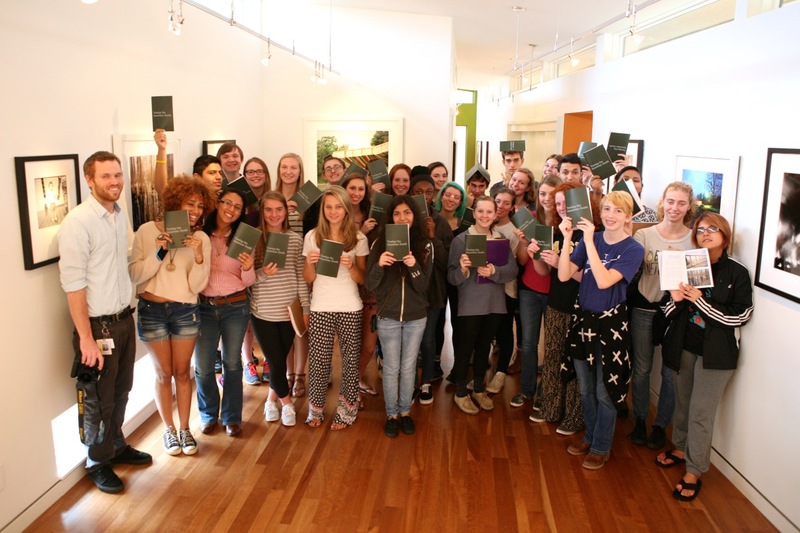 Our first event is a huge success – the Nasher Teen Council meets with our visiting artist, Gabriel Garcia Roman. Self-portraits made by Zanele Muholi (AIR '16) in the driveway at Cassilhaus are projected in Times Square as a part of Performa17, a visual arts performance biennial that takes over NYC. 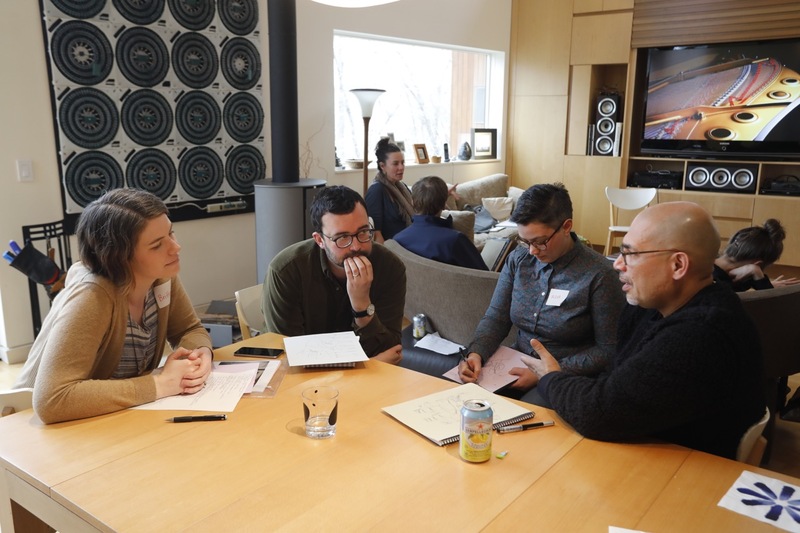 As a continuation of our education initiatives, we host a full-day retreat for Durham Public School art teachers and together consider both how to bring more students to Cassilhaus and how we can provide more support to DPS teachers and students. Frank teaches a course about collecting photography for the Osher Lifelong Learning Institute at Duke. 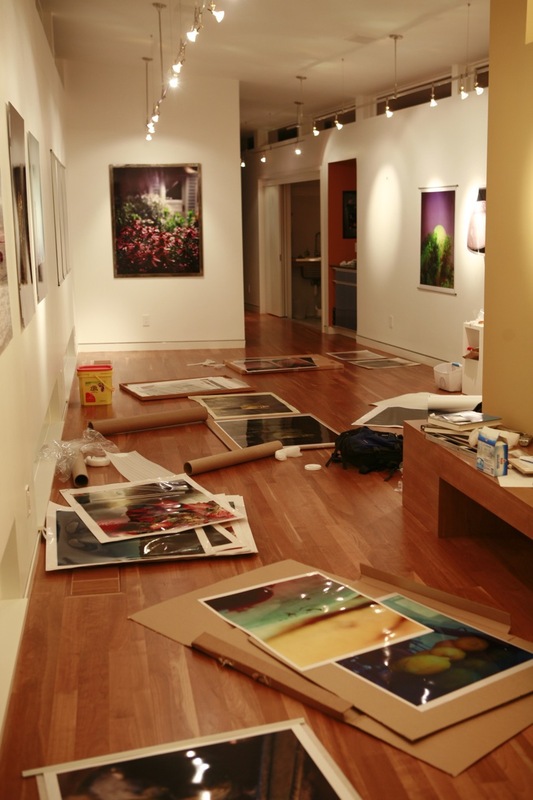 The course covers the why, what, and how of collecting fine art photography, exploring the motivations and mechanics of collecting, as well as the presentation, care, and documentation of collections. After nine years of thinking and designing, the Tuscan garden patio comes out of Ellen's head and becomes reality thanks to Michele DeRose Landscaping, Architectural Trees and the fabulous metal artist, Cassandra Gooding. 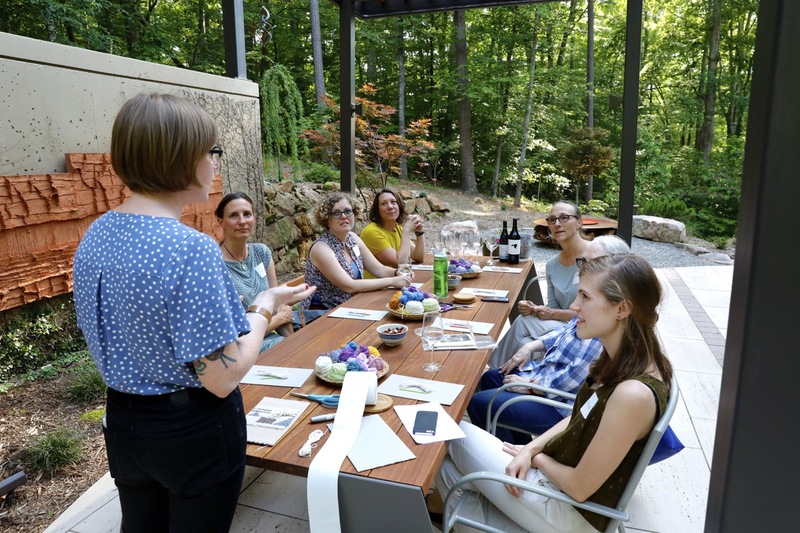 The patio is a new favorite gathering space, whether it be for a school group's lunch break, an intimate concert venue, or a hands-on weaving workshop, as pictured above.